Joint maritime patrols in the area, as well as between Indonesia and the Philippines, were discussed in talks with Indonesia’s Defense Minister Ryamizard Ryacudu in Jakarta last week, Ms. Bishop said on Tuesday. The exercises, she said, would be in accordance with international law. She didn’t clarify what the patrols could look like and whether they would be conducted by air and sea, or a combination of both. Indonesia has for years tried to avoid being dragged into territorial disputes in the region, where countries including China, Vietnam and the Philippines claim all or part of the South China Sea as their own. But strains have grown after China began building artificial islands on atolls in the area and an arbitration court in The Hague ruled some Chinese claims were invalid. 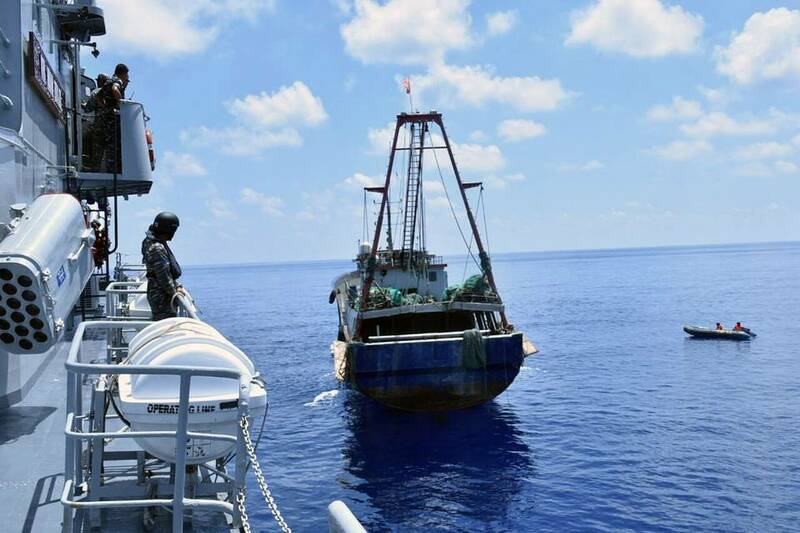 Indonesia’s navy has fired at China-flagged boats fishing illegally near the Natuna Islands claimed by Jakarta, while Indonesia’s government has also protested at some of Beijing’s claims over waters thought to contain rich oil and gas fields. Indonesia’s President Joko Widodo, who will address Australia’s Parliament on a state visit next week and discuss additional military cooperation, traveled to the South China Sea in June to demonstrate his nation’s sovereignty over waters at the center of a fishing-rights dispute between Jakarta and Beijing. 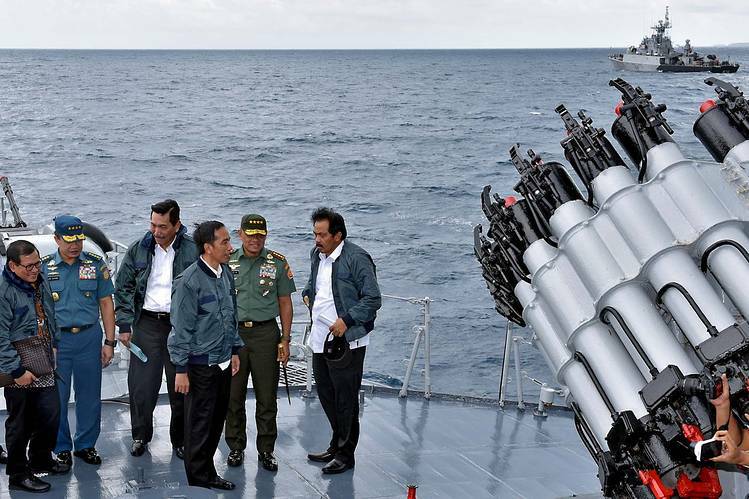 More recently, however, Mr. Widodo has sought to ease tensions, saying in an interview that there was no message intended in a decision to hold Indonesia’s largest air-force exercise of the year around the Natunas in October. While cautioning that “sovereignty cannot be compromised,” the president has been courting Beijing for billions of dollars of investment in aging ports and other infrastructure. China was Indonesia’s fourth-largest source of foreign direct investment in the first half of 2016, up from 10th in the same period last year, and Mr. Widodo says he needs to match rising economic competitiveness in the region through continued foreign investment. Australia, a close ally of the U.S., has also refused so far to conduct so-called freedom-of-navigation exercises near disputed islands as a challenge to Chinese muscle-flexing, despite Washington urging other regional nations to carry out their own patrols in a demonstration of international solidarity. But Ms. Bishop said Australia has carried out joint-training exercises with the U.S., Japan and other allies in the South China Sea region, and was open to stepping up patrols with Indonesia, despite occasionally brittle relations. Indonesia canceled joint naval exercises in the Timor Sea—north of Australia—in 2013 after a diplomatic row concerning the hacking of a phone belonging to Indonesia’s former president by Australian spies. Since then, both countries have been drawn closer amid worries about China’s assertiveness in a region that is key to global maritime trade, as well as the signaling by Philippine President Rodrigo Duterte of a shift away from Washington, the country’s traditional ally, in favor of closer alignment with Beijing. “Defense Minister Ryacudu talked about increasing our maritime exercises and both [Australia’s Defense Minister] Senator [Marise] Payne and I said we would look into that,” Ms. Bishop told Australian radio. Any decisions would likely comes after the Indonesian president’s first official visit to Australia, Australian government sources said. Top U.S. Navy and Marine commanders in the Pacific have been urging Australia to consider joining multilateral naval policing missions in the South China Sea, helping to reinforce American forces in the Asia region. Australia and Singapore in October announced an increase in strategic cooperation that will see the Asian city-state send 14,000 troops to train in Australia each year, as well as military bases being developed on Australian soil. Australia is also joining other regional nations in beefing up its military and modernizing its navy and air force with new submarines, destroyers, frigates, amphibious carriers and fighter aircraft, as a hedge against uncertainty triggered by China’s rise. The worl should be very concerned with China's "assertiveness". What they can't buy I'm sure they will threaten militarily. The dragon is patient, very patient.